Packaging everything together into a turnkey home building contract is making life easier for many Residential Attitudes clients. They may be building their dream home, but often what they don’t have is the luxury of time to spend looking after the finishing touches themselves. It’s one of the main reasons clients ask us to include elements such as landscaping, flooring, window treatments , an outdoor kitchen or a sparkling blue swimming pool. If you don’t have the time – or the inclination – to organise these items yourself, then an ‘all in one’ building agreement is a great option. At the end of the day, you’re building a home because you have a specific vision in mind, and you want to settle for nothing less than first-class craftsmanship and attention to detail. While painting inside and out is typically included in a Residential Attitudes home, our turnkey projects can also include items such as air-conditioning, main floor coverings, pools, pool fencing, planter boxes, paving, decorative lighting and built-in cabinetry. There’s less for you to organise. Outsourcing items to your builder is ideal if you’re time poor or simply don’t want to spend time rounding up contractors to add the finishing touches. Many Residential Attitudes clients love the convenience of knowing that all the heavy lifting is being looked after, leaving them free to focus on family, work and lifestyle. You can start enjoying your new home sooner if you don’t have to wait until handover to get your floors laid, your window treatments organised or the check-measure done for the dressing room fit-out. While you will pay your builder a margin to take the purchasing risks and coordinate the works, you can save yourself substantial time (and money if you’re renting while you build) if you ask your builder to look after everything for you. Residential Attitudes has an excellent working relationship with its suppliers, which means we also get priority when it comes to order processing and delivery, making things happen as quickly as possible. Better idea of budget with a turnkey home. Including major finishing items in your building contract means they are accounted for from the start. That pendant light for the entry foyer can be costed and ordered well ahead of time, and the planter boxes can be designed and priced as part of the overall build. 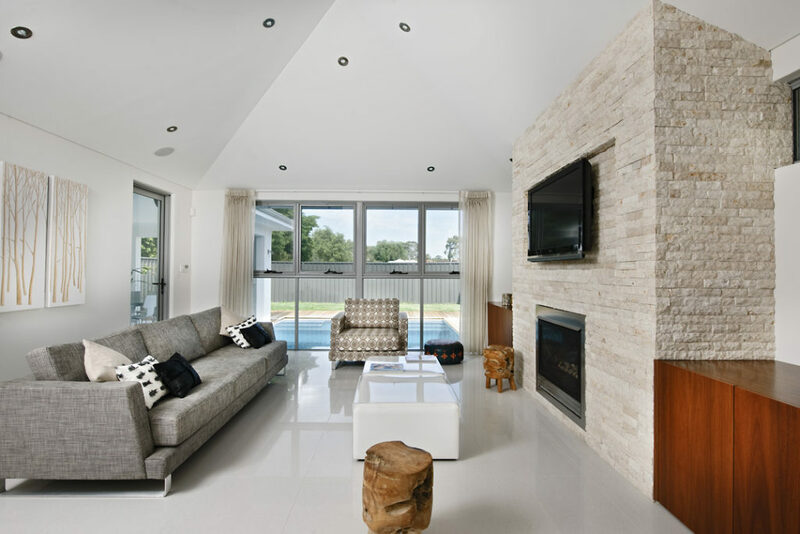 Asking your builder to look after major items such as flooring, window treatments, lighting and landscaping means you can spend more time doing other things and less time getting your new home finished. We regularly look after builds for clients living or working overseas, so this option provides them with time to focus on other aspects of their lives. Consistency of quality and style. Entrusting your builder to look after your entire project means you’ll get a home that looks cohesive and exceptionally stylish. Everything will look as if it’s ‘meant to be’. That’s because everybody is on the same page from start to finish. You still get to choose what you want. If you’re building a turnkey home, you still get to choose exactly what you want. Nobody tells you to select from a limited list of products. Every last detail is your choice. We’ll simply make it happen for you.